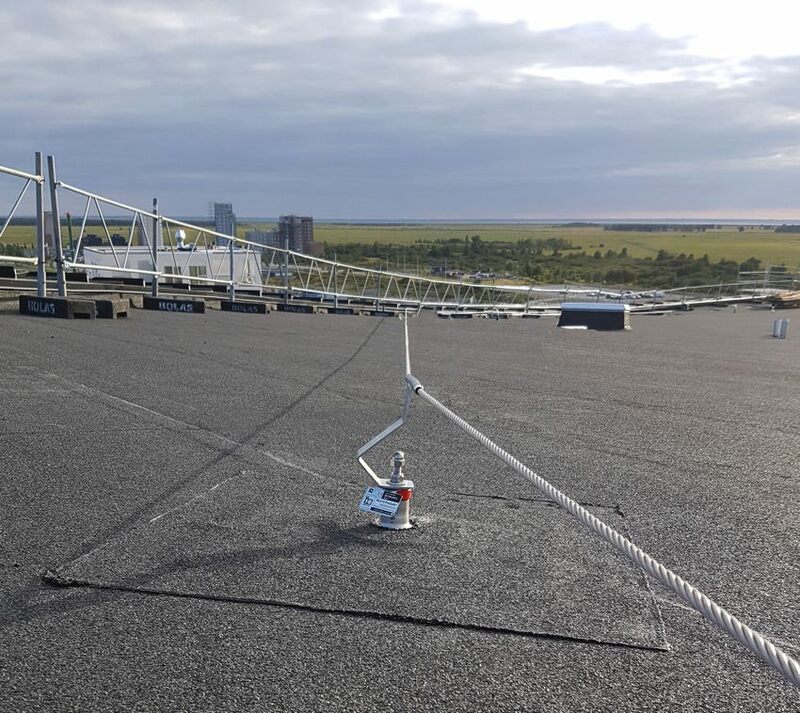 Mul10 ProSafe is among Denmark’s leading suppliers of high-quality fall protection for roof constructions. 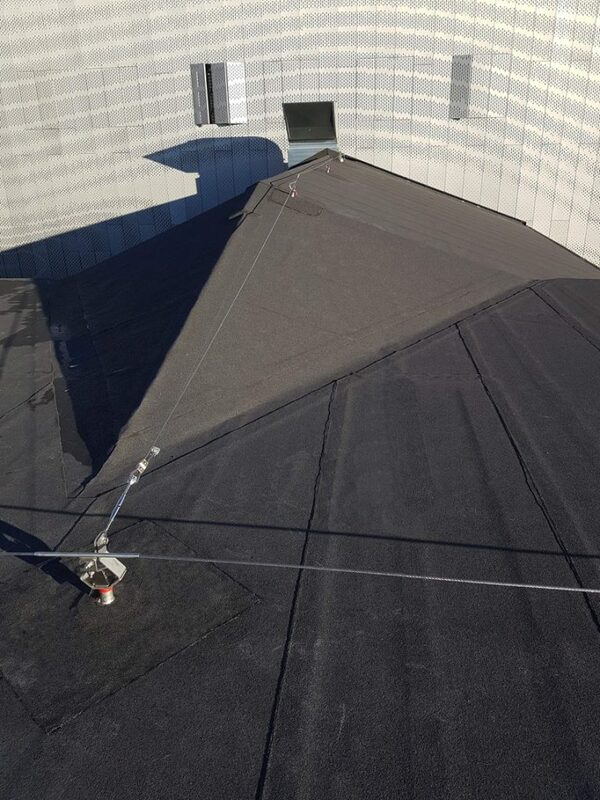 Our gear keeps the employees safe while they maintain or repair the roof or the roof construction. If they lose their balance, they will be caught safely in the fall. The fall protection from Mul10Metal is called Mul10 ProSafe and includes safety anchor, wire and slide. The solution is 100% watertight and can be placed with a distance of 10 meters between the posts, which allows more freedom when placing the safety system. 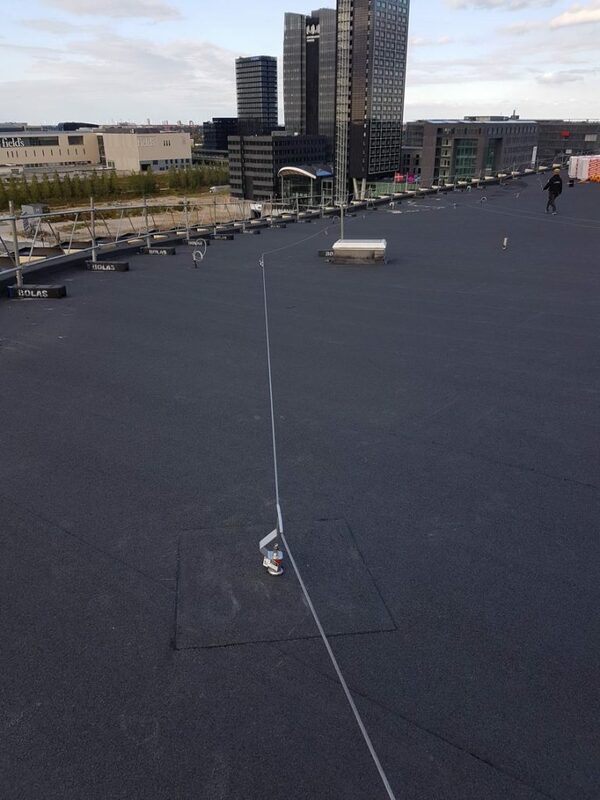 The fall protection system from Mul10 ProSafe is installed on the roof construction of the building – simple and fast. First, install the anchor and then mount the rest of the fall protection system. The fall protection system has a stable and firm base. The underlying roof layer is sealed after mounting. This makes the Mul10 ProSafe fall protection system a much more durable and financially viable solution for your company. No company should ever compromise on the quality of the fall protection equipment as the worst-case scenario is a loss of lives. It lies also within our legislation that employees are not allowed closer than 2 meters from the edge without wearing proper fall protection gear. Therefore, our fall protection system includes a wire along the edge, which the employees can attach themselves to. The ProSafe series was designed from the viewpoint of a flexible mindset. This allows the system to be mounted with as much as 10 meters between the posts without compromising the safety. This allows room for large items such as solar panels without disrupting the safety of the fall protection gear. The ProSafe fall protection gear has been tested and approved in accordance with the standard EN 795 2012 about fall protection equipment with anchor points. The fall protection anchor and the rest of the equipment in the ProSafe series undergo manufacturing control once a year to ensure that the high safety standard is maintained. In addition to the annual test of ProSafe, we include a 15-year sealing guarantee. Mul10Metal has never received a single complaint about our fall protection system. There is a reason why the Danish Technological Institute continues to be able to approve ProSafe. You save money by investing in quality from the beginning – quality at competitive prices. You never have to return the slider for control as it is an integral and thoroughly tested part of your ProSafe solution, also allowing you to save some money. Another very economical feature of the solution is that mounting is very simple and does not damage the underlying roof layer. Finally, you save your employees the unnecessary risk of falling by securing them with a high quality fall protection.